Enjoying this site? 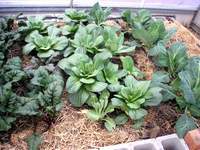 Please subscribe to the "More Growing Raw" monthly newsletter. your free copy of the e-book "7x7 Ways to Improve Your Health, Your Life and Your Planet"
your free copy of "The 5 Secrets to Healthy Snacking"
Save yourself time by receiving regular updates. 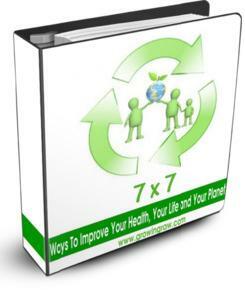 Once your subscription is confirmed you'll be able to download your free copy of the inspiring and helpful e-book guide, "7x7 Ways to Improve Your Health, Your Life and Your Planet." You'll also receive "The 5 Secrets to Healthy Snacking." Snack time is when many aspiring healthy eaters come undone, so learn the top 5 secrets for staying on track with your healthy diet when the munchies hit. As an added bonus, get your copy of the "Vegetable Checklist" so that you can challenge yourself to eat more vegetables. Using this alphabetical list of vegetables may help you rediscover vegetables you haven’t tried for a long time or experiment with some you have never tasted at all. You only need to provide your email address, and your name if you wish to. 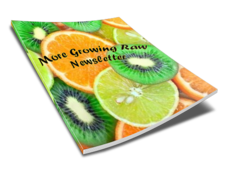 I promise to only use your address to send you copies of the "More Growing Raw" newsletter, no junk or spam.